You could have the best product and service on the market but if your customer judges the packaging before trying the product, you will not stand the competition of others with a complete concept. A quality vintage truck that looks the money invested will attract both attention and positive perception. With vintage food trucks, sometimes their personalities are their selling point. Being able to draw customers in, forming relationships and getting repeat business is a turnkey event. Not many other industries benefit from direct interaction with their audience but with this mobile unit you can, so make the most of it to create your success. The food industry is fiercely competitive and by choosing a vintage truck you create a unique point of sale. You plan your business carefully in terms of product and service but do not forget the packaging of your new business. It is what will make the concept complete. the journey of getting your food truck here at Vintage Food Trucks is made of 3 simple steps. 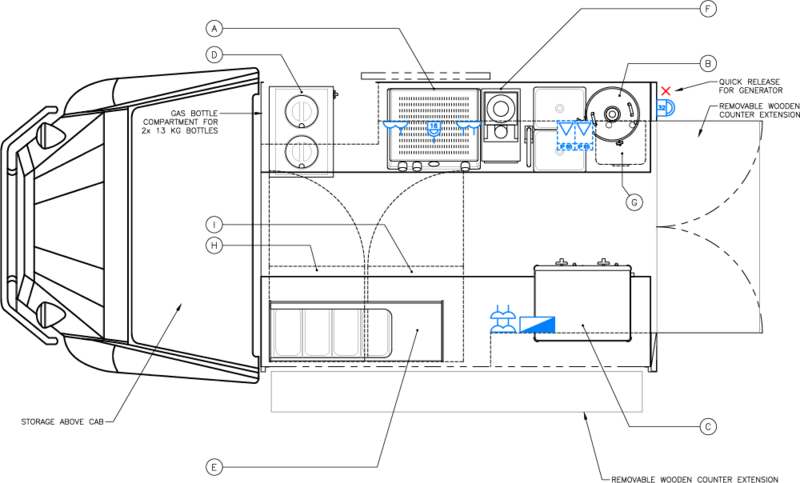 You will get one product, but to make easier for you to understand the costs, we split it into 3 steps. The first step into your journey for a perfect food truck is choosing your vehicle. 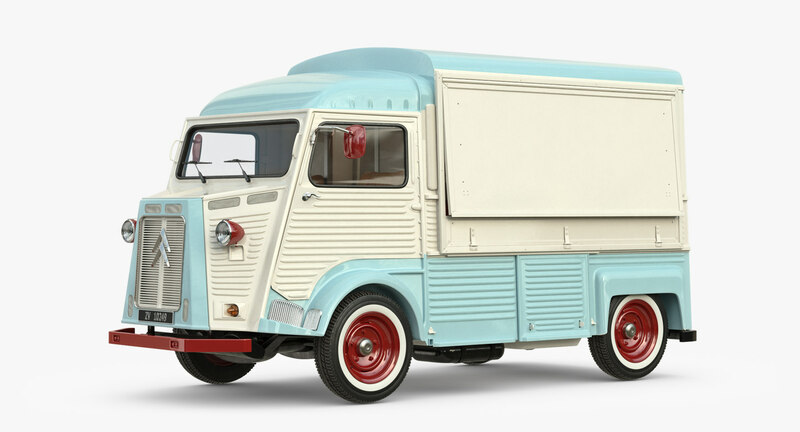 Our best selling vehicle is the citroen hy van, but we also have over 40 vehicles currently in stock from American school buses, American Airstreams, American pick ups, English Bedfords, British Land rovers, French 2Cvs, French Citroen H vans, French Estafette, French Peugot J7 also J9, Italian Piaggio Ape, Containers, vintage Motorbikes or even modern brand new vehicles. Buying the vehicle will cost you anywhere from £19.000 to £35.000 depending on the vehicle you choose. The price is for the vehicle only and does not include your kitchen conversion or your appliances. The second step on your journey to get a perfect food truck is your kitchen conversion. At this stage you we will design and a detailed plan of your kitchen. You will also chose the finishes and looks. You could have the details in wood, stainless steel, vinyl, tiles… We need to make sure that this is done right, so there will be lots of communication back and forward until you are happy with everything. The Kitchen conversion price can vary quite a lot, depending on the finishings you chose, but generally speaking, it will cost from £12.000 to £16.000 depending on the size of the vehicle you choose. The price is for the kitchen conversion only, and it does not include the vehicle. The 3rd step into your journey is to pick your catering equipment. We normally supply and fit all the equipment you need at extra cost, but if you wish to buy your own, you’re welcome to do so but in that case we will charge a handling fee. The cost of this process is based on your choices and requirements, so giving you a price upfront is not possible.